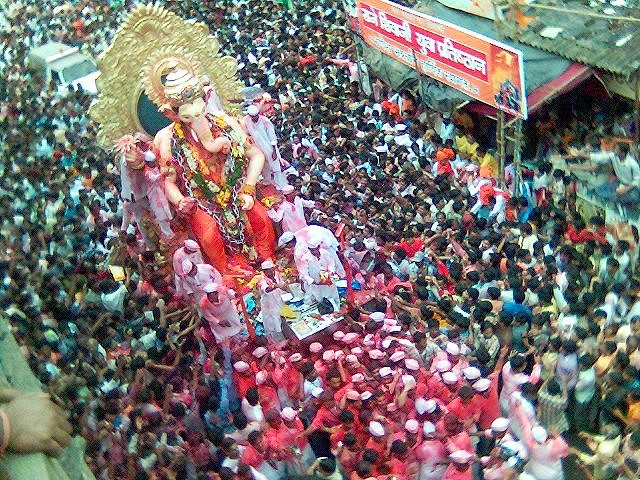 The Ganesh Chaturthi street festival in Mumbai is significant for the local community both economically and culturally. Photo by ninadism/flickr. After last week’s Fourth of July celebrations here in Washington DC, summer has truly arrived. Throughout the season, the capital of the US features a spectacular lineup of street festivals in its public squares. From the Fourth of July celebrations on the mall, to jazz in the park, to barbeque festivals, we’ve done it all! Street festivals are often a celebration of local culture, food and music. Although these festivals typically last for a few days at most, preparation could take months or even last all year long. Often unrecognized is the impact that street festivals can have on the local community and the livelihoods opportunities that they can create. Let’s take a look at two well-known street festivals—Ganesh Chaturthi in Mumbai and Carnival in Rio—and see what they mean to the local population economically and culturally. Celebrated all over India from August to September, Ganesh Chaturthi marks the arrival of the God of Wisdom. A ten day event, Mumbai celebrates with food, art festivals, and cultural shows. The decorations recall the lost grandeur of royal palaces, while others encourage sustainable lifestyles. The festival is attended by tourists from all over the world. Ganesh Chaturthi invites artisans, craftsmen and skilled workers from various parts of the country to create temporary wonderlands of color. Traditionally a family event, this festival was converted into an occasion for public gatherings during the freedom struggle. This marks the beginning of the festival season in India, and the total turnover by all the different public groups celebrating the festival, in the state of Maharashtra alone, can be in the range of Rupees 200 crore or $ 31.5 million. Locally, the income generated during this short time span helps community groups build useful urban services like libraries, health services, educational institutions and scholarships for underprivileged students. Carnival of Rio de Janeiro in Brazil is another celebration of mixed cultural heritage. This year, despite fears of cancellation amid drought and storms, Carnival received 977,000 tourists. Known as a the greatest expression of Brazilian culture worldwide, the 4- day extravaganza is the result of year-long practice by over 200 samba schools from the state of Rio. While the colorful costumes and the parades of Rio get highlighted in world media, the lesser known fact is that Rio’s local government collected US $782 million in revenue from this years’ Carnival. Private businesses profited similarly, when the hotel occupancy rates reached 92 percent. In 2014, worldwide tourists spent $665 million in housing and dining alone, according to Rio officials. Moreover, the carnival is also seen as a powerful mechanism of bridging the enormous social gaps in the city. Celebrate a local street festival in your hometown? Share with us in the comments section below!